So when someone asks you to a costume party, what are you going to go as? Well, since I am a massive Fable fan, and have a love for D&D and all things fantasy it has to be something along those lines right? 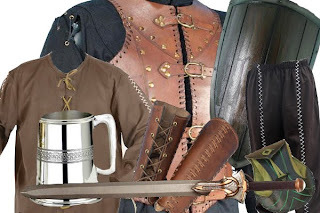 Well, I have managed to get a good get up for a Fable II era costume going on, complete with sword, shield, cloak, shirt, and all the rest of the Colonial paraphernalia. That's the outfit going on there, carefully put together on photoshop for your viewing ease. All from the lovely www.primalforge.com as well. Will be drinking a beer and singing of the Sandgoose, Avo's Tear and all other things...including the Singing Sword. Will post pictures of my Fable exploits. 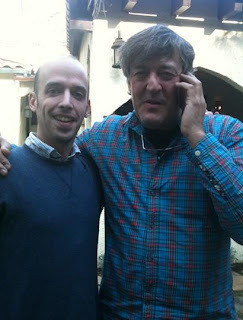 So we know that the awesome Stephen Fry is going to be putting his mark on the game, returning as Reaver in Fable III. But who else is going to be walking the streets of Albion? Well the first, according to his Twitter feed is going to be Jonathan Ross who, in response from Sam will be code named 'Barry' for now. Whether or not that's the actual name of his character we do not know, but its all pretty interesting stuff. Ross, who is one of Britain's best loved chat show/radio hosts has previously been in Halo 3, part of the 'extra' voice work that you can hear from marines as they wander around killing Covenant. But, just from his picture here he would be right at home in the quirky world of Albion. As well as this we have the tweet from Sam that there is another famous woman's voice returning and he is off to film here today. This is a double-whammy as not only does it possibly point to the voice of Hammer returning, but also that the next Video Diary is going to be pretty interesting, possibly looking into the characters we will meet along our journey. Will keep you posted as always. Peter is a lover, not a hater. Well, he still drags beggars off to factories and sells them into slavery, but I digress. 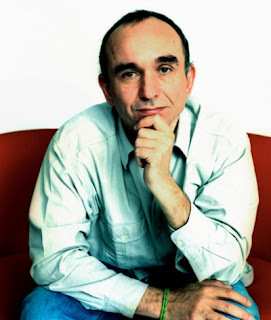 Below is a nice link to a good interview about emotions in games and especially those in Fable III. As well as this he talks about the dog, the heroes journey, and the way in which we should view games now, especially as a medium of art. Hope you enjoy it. I usually do not put much of a thought towards OXM UK or indeed the American version. But when I saw this article about Peter and Fable III I was a little bit peeved. I would be inclined to actually believe and think about their statement in the article were it not for the fact that their reviewers did not even fully finish Fable II and did not know who Reaver was, or that it was voiced by Stephen Fry! Smacks a little of laziness to me, its not as if the game is that long story wise and bare bones to finish. Either way, ranting aside and a calm hat on. They believe that Peter is spewing hot air and gas on the gaming front again, with innovation and such like, but to be honest surely all he has said is that they are starting again and making it all the better for the player. If he started showing content now surely thats like shooting yourself in the foot if it doesn't meet the final cut? Would like to here your opinions on this, but in my mind I don't see anything wrong with Peter's enthusiasm at this point...coming from a critical standpoint here. 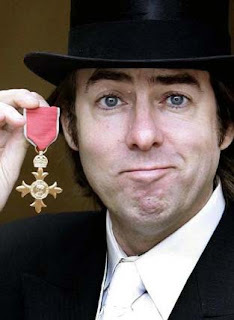 The Times online have managed to get an interview with the man himself, so in the effort to keep up the link dumping and all these Peter obsessed posts, here it is to whet your appetite. He sounds as enthusiastic as possible. Wish this guy was my Literature professor, would get so much more work done! IGN go for it with a nice interview with Peter about Weapons and weapon crafting, Morphs and how the come out and effect you, the choices you make in the game and ruling the world. Finally as well the above moniker is actually going to mean something. You own Albion after you take down Logan, so lets see how this one rocks out. The guys on the Lionhead twitter recently tweeted this little awesome video interview from the guys at Switched. While theres nothing new on there to speak of, there is some footage of the game from the ViDoc and of course there is Peter himself looking suave as always and full of emotion. As well as Fable Peter talks about Natal and Milo, and the beginning of interaction with characters like never before in games. 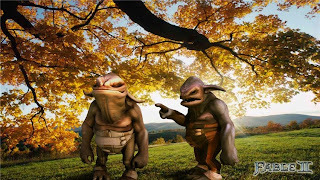 Its certainly an interesting prospect and would revolutionize the RPG industry for a long time to come. Would certainly make those meetings in roleplaying games between characters and NPC's a lot more interesting. 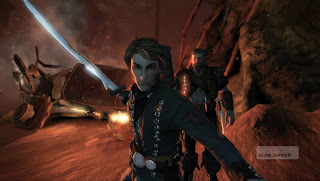 So we know that Reaver will be returning in Fable III with the awesome Stephen Fry doing the voice, but what about the other heroes from Fable II. 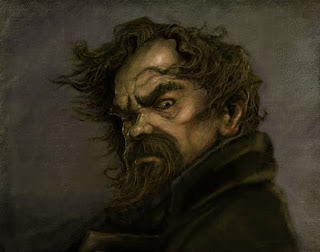 A lot of people have been wanting the return of Jack of Blades...but he isn't coming back thankfully. Personally of all of the characters to come back I would love to have Garth come back. 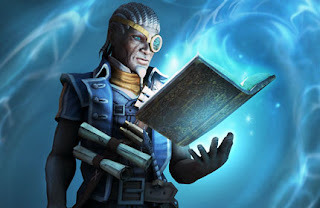 His magical power is one of the most interesting story developments in the game and would love to see how it would appear in Fable III. With the advent of machines and industry maybe the experimental warlock/mage/wizard would have tinkered with them and found ways of harnessing the natural magical energies to help his magical powers grow...we shall see! Peter has been tweeting again, and this time about how he is not sure how the start of the game will be received by the gamers. Like its two predecessors' the game will begin with very little in the way of combat and more in tune with that of drama and dramatics to set the scene and train the player. While this could be pretty much a killer for most games, in Fable this should not be this bad. With the advent of the new Touch mechanic as well as a lot of story to tell, including what has happened in the past 60 years and setting up the story of Logan, its understandable that combat takes a back seat for story telling for a little while. 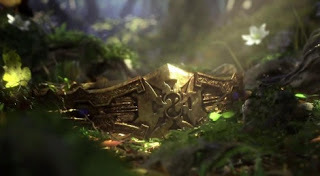 The vast majority of fans have responded well to this and take it as a good sign that Fable III will be longer, and the story will be the main focus of a lot of the game. Sounds good to me. One thing we have always seen in Fable III is the taverns, and by heck we love beer and taverns in the world of Albion, and in the UK. So, I took it upon myself to make a thread about naming such places on the Lionhead boards, of which they are linked below. Take a look, see what you think and place your mark for what you think would be a great name or a tavern in the up-coming Fable III. The developers have already had a look at the page so who knows maybe they will take up our suggestions! 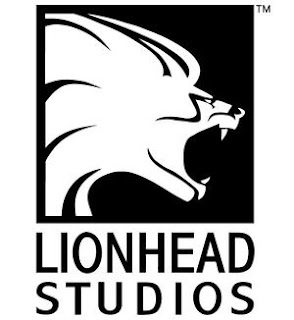 Also tomorrow is the day when the European press are making their way to Lionhead Studios, so watch out for pictures and information from them and me of course tomorrow! The leaders of the political parties in our fair old land of Albion (the ancient name for Britain in the time of the Celt and Romans) have been getting behind the artistic nature of our history, and the promise of new ways of expressing ourselves. In this vein they have decided to back Video games and the industry itself as a source of this expression for the future. Apart from the name of the award being stupid...a Boudica? Its pretty awesome that video gaming and the art of computer generated worlds is becoming a source of artistic promise for the future. Lionhead is of course one of these such British Companies that are in the world of gaming and game development, lets hope that their talent gets recognised! We all know Touch is going to feature in the game, but this demo which is different to the one previously posted on my blog shows it off in detail. We not only get to see the hero picking up and greeting his child, walking with her off to the house. But we get to see as well the result of dragging off the poor beggar man off to the workhouse! It looks like its pretty awesome, and the detail of the animation is top notch. As well as this however there has been speculation that it seems incredibly easy to 'hold' someone's hand. This might just be because the character had done his bit to ease him with promises...we will see. Was going for the triple D there but seems we have to let that slide. In a recent article Peter has been mouthing off again about his work for the future of the game, which is out this Autumn. The link below has more detail about it, don't want to rob them of their article of course! But in a short snippet, going to be talking about Downloadable episodes, the new way in which content will be included in the game, and new stuff about how you are going to get from Albion to Aurora! He also mentions how, like Dickens' episodes in the newspapers when he published, Fable III will be taking a similar idea. Should be awesome! 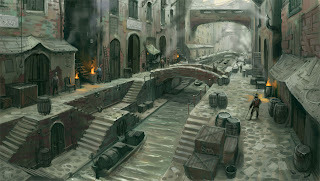 Another delve into CGhub found me the album of one of my favourite game artists Matt Allsopp. He delivered a myriad of the artwork that you see in Fable II, from the portraits to the landscape concept arts that make up a lot of the final versions looks. 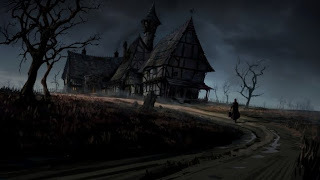 Above is one of the new images from his gallery and it seems to be following the look of some of his earlier work that he did on the dark villages in Fable II. Either way, hope he gets to work on the game this time around. Here's the image anyway above, enjoy. Another big link dump here. This time with visuals and moving pictures! IGN managed to film their meeting with Peter as he discussed the games different aspects, new and exciting I must add. Check them out and remember to comment below on the things you liked and indeed hated. Looking pretty darn good to me, can't wait! Something I was pretty interested in while I was looking through the new screenshots was the way in which the hero now actually looks and feels like a Next-Gen product. The textures and the actual character modelling, staying with the cartoon-ish look and feel are all coming together to make something which could actually be quite special. 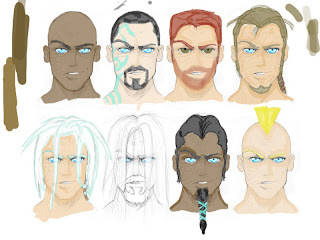 So, I thought it would be cool to look back over the heroes that have been and gone and what we were all seeing back when Project Ego was the thing 'everyone' was talking about. 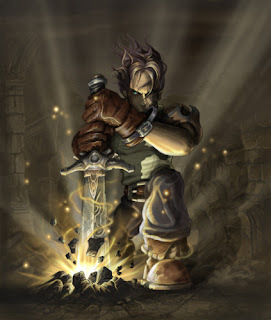 So back in the day, before Fable was ever called 'Fable' it was named Project Ego, and a man named Peter Molyneux was telling us that he was going to make a hero that tanned in the sun, his muscles grew when he used heavy weapons, his body would be scarred and damaged in battle and you could make him in anyway you felt right. Well, we nearly had that. In the end we had some fantastic beards and that was pretty awesome. I think everyone will remember making their first 'tramp beard' hero. With new clothes, new items and new hairstyles and beards this was the one we all got to play with for real. The character model looked sometimes clumsy for people, but I thought it was pretty good. He had the right feel and did not have dead pan eyes which most character models have. The magical tattoos were a let down, not looking at all how they were advertised and 'everyone' had a problem with him ageing and looking grey for most of the game. Still, people liked the Gandalf look and those who did not could cheat their way back to youth through the advent of the Temple of Avo glitch...don't pretend you didn't do it. Now we had the chance to make both a male and female hero, and for the most part the model looked pretty good. It still retained the cartoon feel of it, but was a lot more realistic looking in the way he moved and acted. The hair styles were great, and the simple fact that you didn't look like gandalf all your life was a bonus to all. There were problems with the fact that the female hero always looked like hulk when she was made to be strong, but that was the price it seemed for taking that path. Hopefully that is remedied in the future release of Fable III. Good skin, good hair, amazingly textured clothes even for the build we're seeing here. The look is crisp and clean, no jagged edges and clipping seems a thing of the past. 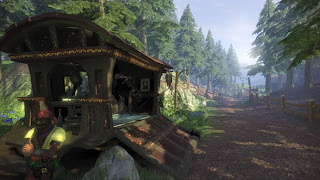 The Fable hero has turned into one good looking Next-Gen product and damn hell its good to see. All that extra power they are plugging into the game sure helps. 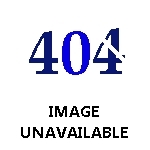 ...and that link isn't a joke either! 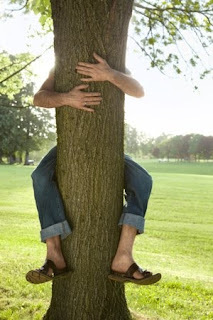 Also be thankful, we have the great British 'Man hug' to look forwards too. God old Stiffer Upper lip there from us Brits. 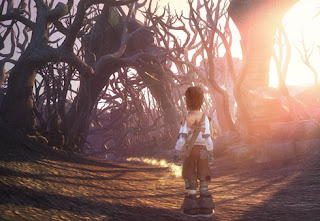 Some fantastic screenshots grabbed from eurogamer.net of Fable III. New hero and locations are looking fantastic. So, Peter's talk has begun as I write this, and filling it in with some of the nice morsels of information I get all over the net. When this post actually hits it will be after the talk is over, so...will be a good list of things he has been talking about. 1. 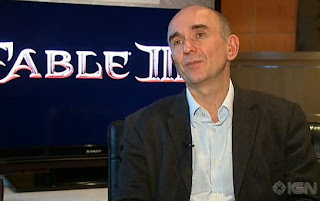 From Louise Murray's twitter "Peter Molyneux is describing how & why Fable III is moving to the Action Adventure genre"
2. Revealing the new inventory system. No longer a 2D list which has to be scrolled through, is now 3D! 3. Talking about combat, showing off the new fighting mechanics we hope. 4. Funny one Peter: "How many of you bought Fable II but didn't complete it?" - (raised hands) - Peter: "Yeah quite a few you bastards"
5. Manhandling of beggar going on...dragging a man through the streets to the workhouse. Showing off the Touch mechanic we presume. 6. 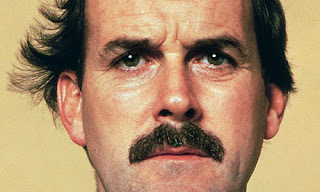 John Cleese will be your Butler! Even if they did screw up the widescreen and aspect ratio of their inventory presentation, good news. 7. Combat demo running and well, damn fine finishers that got many ooooohs and ahhhhs from the crowd it seems! 8. Some of the crowd (ladies in front of Louise) found the finishers 'gruesome' NICE. 10. Demo finishes after a combat showing, onto questions and answer session now...should reveal some more morsels lets hope! 11. They could not comment on my merchandise question, lets hope that we do get a Hobbe this time around. 12. Confirmation again that you and your dog can enter another players world AS your hero, not a mercenary. From what I can gather from the various Twitter feeds it seems as if Lionhead are indeed showing off more of the game via a demo today at GDC. As well as this there should be coverage of the talks Mr Molyneux is doing and I will endeavour to get the links up to any of these by the end of the day. Hopefully this time around we will get to see the demo in action for ourselves, see the developers give it a run through. Hopefully some fantastic concept and render art like the previous post as well will surface. 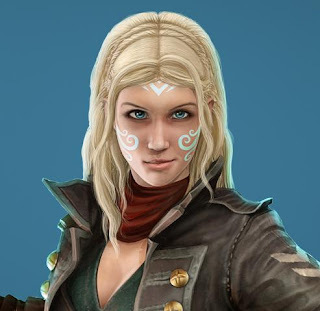 So been trawling the people who are attending GDC for Lionhead Studios and it turns out that one of them, the lovely Louise Murray has a special picture up for us all. Could this be her hero from Fable III rendered in CG styling? If thats the quality of the graphics in the new game on facial expressions then thats pretty impressive. Got the Will lines going on, and a good hero as well. Along with that the shirt looks like it is from the upcoming game. 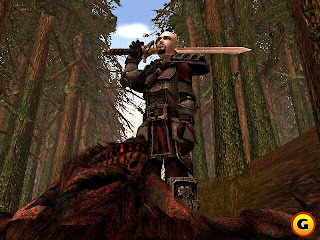 GDC is nearly here and the guys at Lionhead are going to be tweeting their way into the internet blogging world during the event. Check it out, keep ahead of the pack and do not worry as I will be filling in with announcements as and when they happen on the days to come. 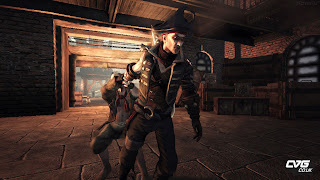 So of all the characters from Fable II that you wanted to come back I assume that the most wanted of all is of course, Reaver. Well, here he is. 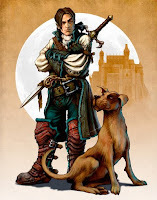 Thank you Mr Fry, thank you for making Fable III just that little bit more awesome. 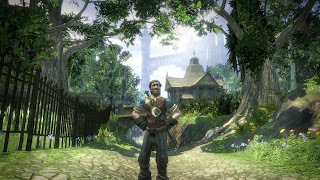 A recent post on Kokugamer has found out that a website for the gaming industry is presenting a job to work on the development of the Fable III game for the PC. 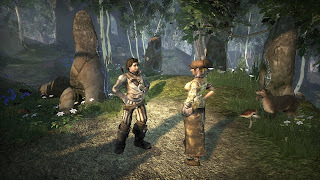 This seems to be pretty interesting to all those people who are obsessed with the original Fable for the PC, and its even better because now it seems like there 'could' be cross-compatibility between the two versions of the game. This might just be a slip up and a wrong set of information but as the article points out the same position is also open on the Lionhead site, just without the details attached. A new opportunity for fans of both PC and X360 to play together? I'm liking the possibility. So its that time again. 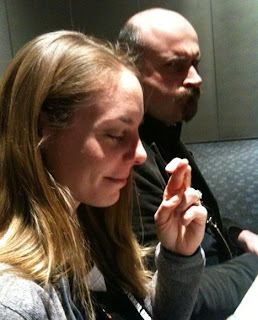 Another year and another GDC conference for us all to whet our appetites over. Peter and the Lionhead team will be there it seems showing off some more interesting features we hope, as well as giving talks on game development. A lot of us wont get to go, but thankfully the people at Gametrailers and Lionhead will hopefully enlighten us to the goings on. Not only by Peter and Lionhead's twitter page but facebook as well. So, here's a little look at what Peter should be talking about. But, prepare for a lot more. 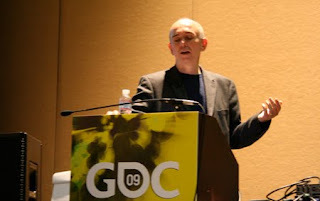 The Grand Old Duke of Guildford Peter Molyneux has been tweeting about his day to day running's of the Dev team and Secret Projects. Also, 'Dungeons look good' is promising I would say. 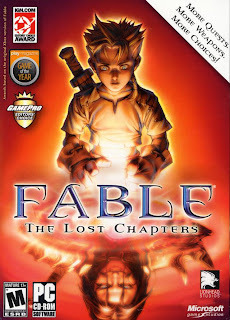 So a long time ago, when I was playing the original Fable I set about writing an long fan fiction which followed and expanded on the games storyline. It took a long time, and is certainly nowhere being finished, as well as that it needs extensive editing and such like, but I have it here none the less. 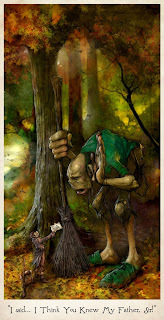 So, below are some links to my original Fable I fan-fiction, as well as a link to the second part and other fan-fictions of mine. 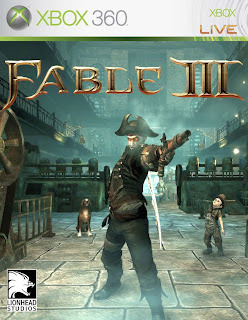 I also wrote a myriad of fan-fictions for Fable II, and in the middle of one for Fable III so will keep you updated. Enjoy and feel free to leave comments below if you like it, and if you don't as well, let me know what you feel needs changing as its all about constructive criticism. 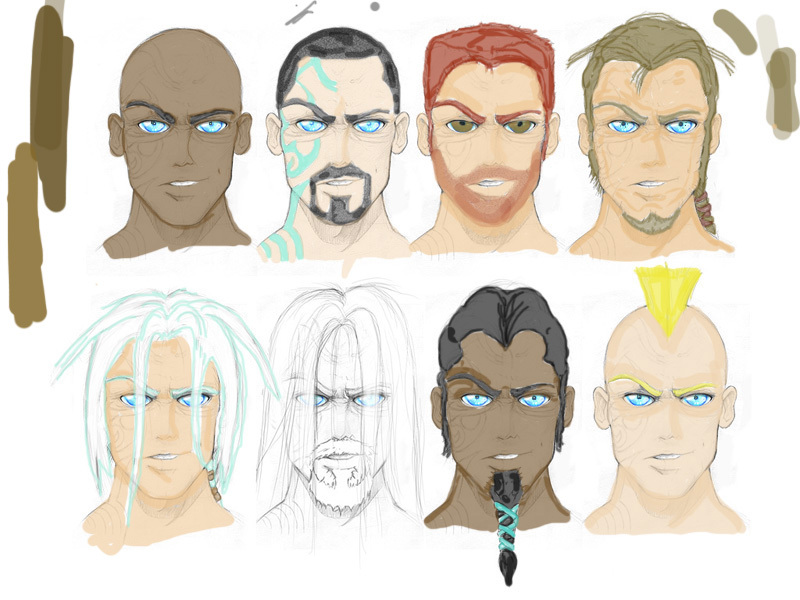 Stumbled upon this looking at the fan art for Fable II and III made by some of the community members and heck some of them look good. But, this was a fantastic idea. Everybody loves Hobbes from Fable and they do travel very far of course. So, why not take a picture of them on their travels and get them sent in to the address below. 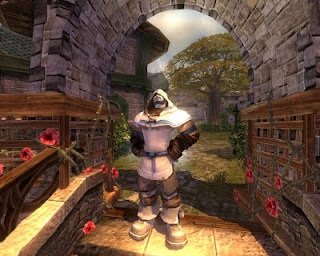 Here is a link to their area on the Lionhead.com site and some of the ones already taken by community members. Download the file and get hobbe'ing! Click me to start eating man flesh and wearing pots for hats! 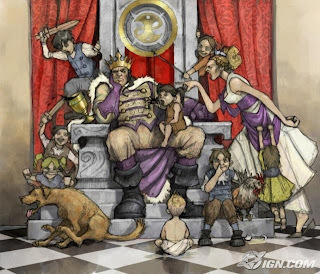 And of course we want to see Hobbes and their funny little ways in Fable III! Cant believe I forgot this. Here's the teaser trailer for the game that came out last year. Pretty awesome and gives a good hint about what's to come.